Rev. Amanda Nelson. Photo: Emily Ann Garcia. It is with great joy and excitement that Extraordinary Lutheran Ministries announces that the Rev. Amanda Nelson (she/her/hers) has been selected as the new Executive Director! 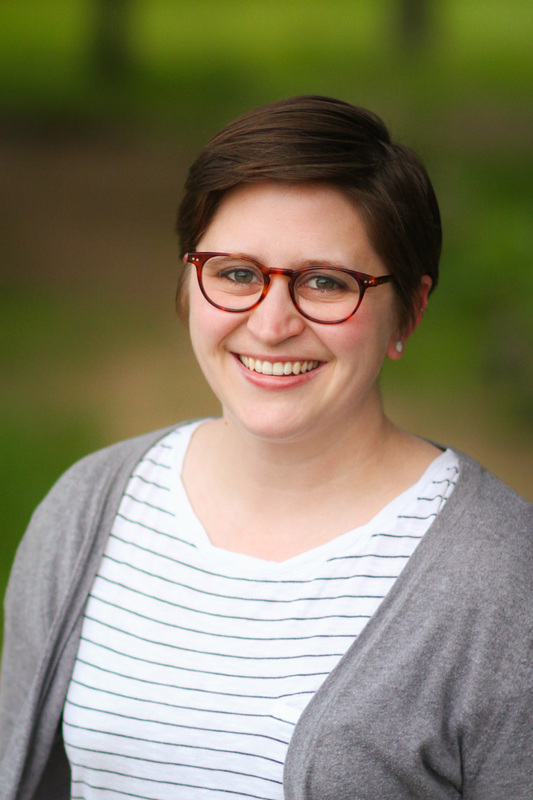 Amanda brings a breadth of experience and personal connection to Extraordinary Lutheran Ministries that leads her to be well equipped to further the mission and vision of ELM. As Executive Director, Amanda will provide vision, direction, and leadership to ELM by partnering with the Board of Directors, managing staff, and guiding program implementation. She will also lead fund development, as well as operate as an ambassador for ELM, developing partnerships and relationships. Amanda begins in early August and will work from New England. The two-month search was lead by a team selected by the ELM Board of Directors. In addition to co-chairs Rev. Elise Brown and Lois Voss, the team included Emily Ann Garcia, Mack Patrick (Proclaim Seminarian), the Rev. Jeff Johnson (Proclaim), and Ben Hogue (Proclaim Seminarian). The committee conducted five web and three in-person interviews with finalists before making their final recommendation. “I am overjoyed at the opportunity to serve as Executive Director of Extraordinary Lutheran Ministries and to give back to an organization whose ministries have supported me and helped me in my own journey to be a proud, publicly out, queer minister in the ELCA. The people of ELM – from the members of Proclaim to the many individuals, families, and congregations who support our ministries – are what get me most excited about this position! If you’re looking for hope in the future of the church; for energetic, enthusiastic, creative, and deeply considerate leaders; and for a glimpse into God’s awesome Kin-dom, look no further, it’s right here! A graduate of Pacific Lutheran Theological Seminary in Berkeley, California, Amanda grew up on the East Coast and considers herself a true New Englander at heart. She attended Wheaton College in Norton, MA, majoring in International Relations and German Studies. After college, Amanda worked at a Domestic and Sexual Violence agency before following her call to the ministry of Word and Sacrament. She comes to Extraordinary Lutheran Ministries from Faith Lutheran Church and the community of East Hartford, Connecticut where she served as Pastor. Amanda is a member of Proclaim and served on ELM’s Fund Development Team as well as a Proclaim Chaplain. This is an exciting next chapter for ELM and we are enthusiastic Amanda has said ‘Yes!’ to this new call. We’re thankful to you, our wonderful supporters, who make it possible for ELM to do ministry in the world. Extraordinary Lutheran Ministries believes the public witness of LGBTQ+ ministers transforms the church and enriches the world. Your support allows us to live out that belief through Proclaim, Accompaniment, and Ministry Engagement – thank you! This entry was posted on Monday, June 26th, 2017 at 8:00 am	and is filed under Blog. You can follow any responses to this entry through the RSS 2.0 feed. Both comments and pings are currently closed. I know you’ll do a great job for ELM and I’ll miss you at Pericope. Unbeknowst to you, but knownst to me, you have been a big help to me in learning how to study and understand the lectionary. Thanks a bunch.